From Abolitionists to Peace Democrats, there were many groups with roots in Ohio that made an impact on the war. When President Lincoln called for volunteers soon after Fort Sumter was surrendered to the Confederacy, many Ohioans answered the call. In the end, more than 310,000 Ohioans would serve in the war, including 15 members of the McCook family from Northeast Ohio. But not all Ohioans felt that war was necessary. Some believed that the South should be let go, allowed to form their own nation. 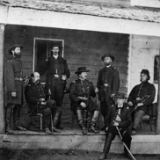 These people referred to themselves as Peace Democrats, but were referred to by others as Copperheads. 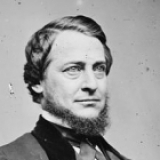 In Ohio, they were lead by Representative Clement Vallandingham.